Whose fault was it? Yours or Your ex’s? Who’s falling short in your current relationship, you or your spouse? Just stop blaming because blaming isn’t the solution. There’s a glaring option we often do not take important. Modern day romance shoulders the blame. Partnership used to be practical, in the sense that partners enter it with a more sensible and realistic approach, then it got excessively romantic and then we broadened the scope and began to dream how we could have much more than what was attainable, the practical benefits of an honest friendship and a mutual admiration society, a straight-shooting buddy and a devoted bunny all rolled into one. We dream that with “the one” we’d have self -freedom to be ourselves even with unpleasant qualities or attributes and still be ultimately adored. That’s a huge ask, not that some don’t succeed in having that. But fewer than the romantic ideal promises. Most couples have to settle for standards that are lower than what they would have desired – less romance, more skills to handle difficult situations, a continuous effort to find what poet Philip Larkin calls “words at once true and kind or not untrue and not unkind”. The partnership is a venture that sometimes feels chokey, too close for comfort with no breaks for breathers. it marks you in a place where there is little or no room for lies. If you’re caught, you may never be absolved from it. And you can’t afford to be completely honest either. Too rigid and you may never live it down. The dos and don’ts go way up. What you envisioned would be a safe haven from the rest of the world can become an uncomfortable environment to thrive in. You came home from after a hard day at work and you want to hang out but you can’t. 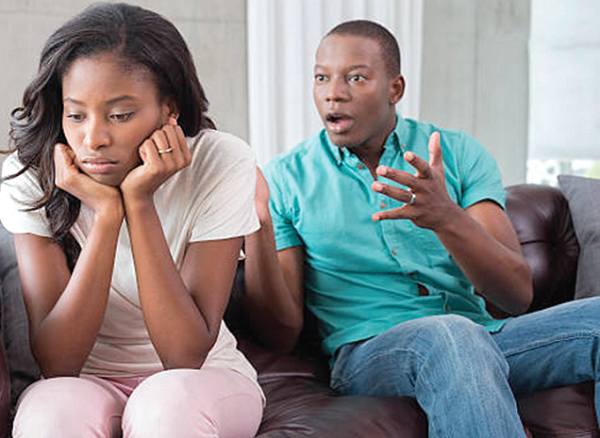 You and your partner are over watchful and insecure. Am I still safe? Am I still free? You might find yourself enjoying time apart from each other and wouldn’t mind throwing in the towel. You might start dreaming of a perfect union again with someone better whom you think will provide the spice and sparks that was absent from your last relationship. You’ll want to try someone else, as though the problems in your last relationship were caused by your partner or just a bad match, not by the changing demands of the romantic idea itself. Stop blaming because you haven’t dealt with the real problem. Like gamblers who don’t understand when the odds are against them, singles often dream that the grass is greener on the other side and they will be treated better in the hands of someone new. Freedom and safety, love and honesty, being yourself and being appreciated all round up in one perfect partner. Because they haven’t stopped blaming the problem lingers on. Just stop blaming. This may seem like an unpleasant definition of a relationship. It’s meant to be kind and optimistic. Were you at fault? Was it your partner? Was it a bad chemistry? Maybe, but above all, the problem may just be that we expect more from a relationship than it can deliver. Stop blaming because blaming won’t haven’t solved anything. Sobering up about the drunkenness of romance frees partners to escape the threat of romantic blackmail: “If this doesn’t work, I’m going to hold you responsible for the failure. If you don’t love me right, you’re a narcissistic pig.” Just stop blaming because you are still far from the solution. Many couples have it all easy with romantic sobriety as time goes on. More often than not, they’re the couples that partnered early in their relationship and were able to sustain it such that, 30-plus years in, they’re still free with each other, despite features that are not appealing or attractive about each other. They achieved this feat because they stopped blaming each other and took full responsibility for the situation. Definitely, they fell in love just like Romeo and Juliet and it felt nice to have experienced the perks of falling in love with youthful hormones flying all over the place. Nice state to visit, but they know that one can’t live there, so they no longer try. They are buddies to each other and it works just fine. Some of us see the desire for a perfect partner as obtainable, and as such enter into endless dating just to find ”the one” only to be disappointed repeatedly at each attempt by coming across people who are searching for the same superpartner that you seek and you do not suit the profile. And some make it work by keeping it simple. They don’t expect much. They engage in a relationship and just take it a step at a time and are only concerned about each other and not by external definitions or expectations. For this kind of people who read Psychology Today, the best partnerships might be an honest pair of two people with contradicting ideas about different things but can honestly admit that they do want conflicting things, a bunny and a buddy, blunt honesty and tactful kindness, and can laugh together about the difficulty if not futility of aspiring to get that from one person for life. A partner of this kind laughs at you, with you and vice versa. The union doesn’t have to be difficult, the key is to expect less and understand more. people on the other hand often make the partnership a whole lot harder than it has to be by imagining that it will be a whole lot easier than it can be. Stop blaming then you will see the relationship glow because not all relationships can withstand a nagging and an irresponsible partner who constantly feels he’s okay and perfect. The issues must always come from the other and not him. If you are this way then dating or true love might just be far from reach. Stop blaming your ex, or yourself but work hard in ensuring that the mistakes and wrong decisions are decisively dealt with for the joy of tomorrow. Stop blaming because love is beautiful and must be handled with care and ruggedness because true love may have rough edges and only those who take full responsibility enjoys true love. this is a really nice article.. it points out a very recurring problem in modern day relationships… thumbs up to the writer for his insight and understanding on the subject..